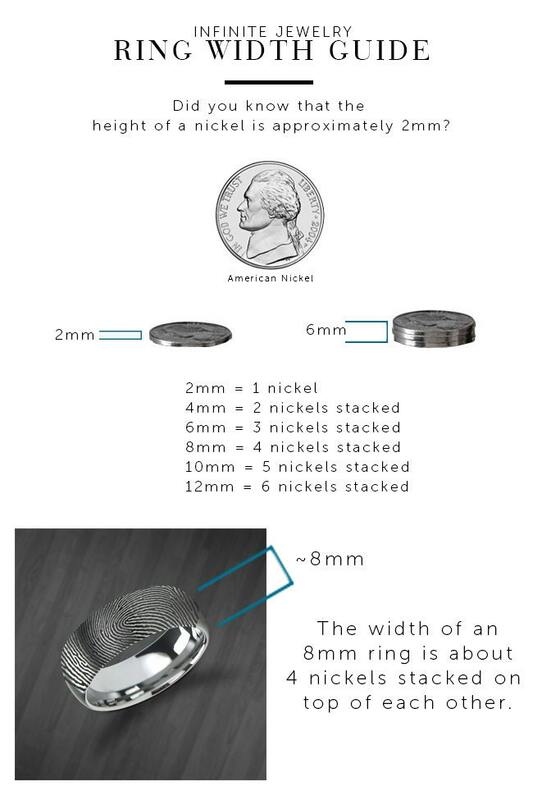 This spinner ring has an engraved raised satin brushed center and polished edges. The satin brushed center spins 360 degrees while the polished edges stay fixed on your finger. 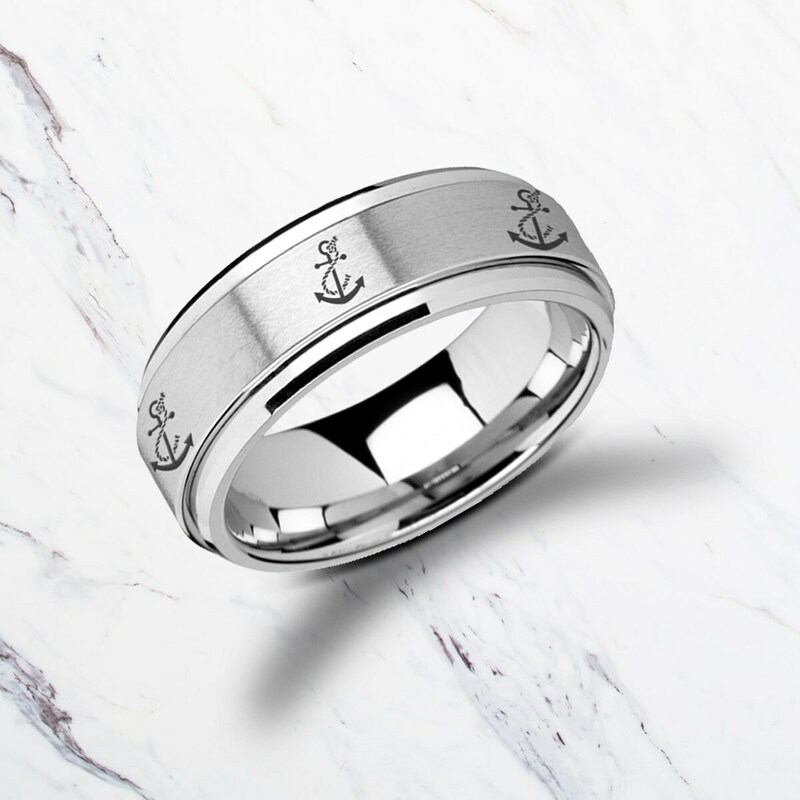 The satin center has engravings of anchors around the entire ring. This design is absolutely stunning. 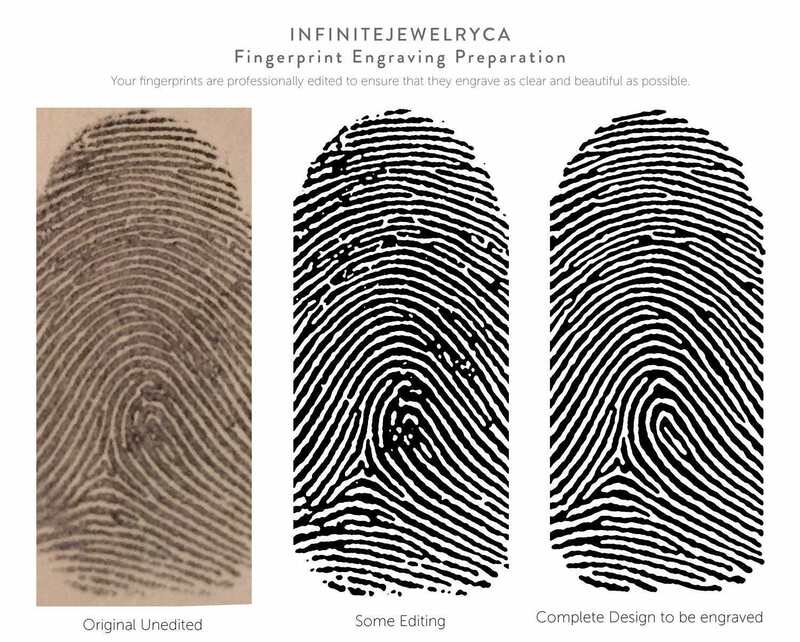 The etching is soft and beautiful. Fits perfect. My ring arrived today and it is beyond amazing. Aaron was so patient and helpful it made my experience with this shop wonderful. I would recommend them to everyone and look forward to ordering from them again.